Maelstrom is a dynamic object. It shows a drawing process in a liquid medium. On closer inspection it is a sculptural process using tiny particles of a granular material that accumulate temporarily to form clusters and lines. But just moments before shapes become evident, they are overwritten or fall apart and disappear. They vaporize. And although Maelstrom is very material, it travels between two realms: between what is there and what seems to be absent. It moves between these two domains to play with the unanswerable and constantly developing questions of how we perceive and shape the world in our minds and how our imagination transforms it. 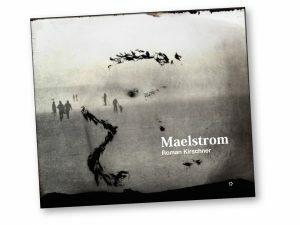 Maelstrom investigates if there is some resulting feed-back on the world around us and how matter and imagination might be entangled with each other.